How many seeds to you need? How far apart should you plant them? 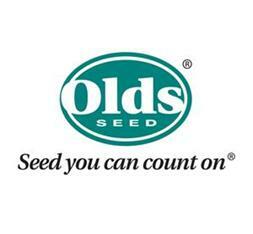 Check out this chart, courtesy of Olds Seeds, to learn more about properly planting seeds. *Popcorn and sweet corn counts vary widely. Seen counts vary between lots because seeds are generally sized and grouped accordingly. Each Olds’ popcorn and sweetcorn tag states the seed count for the lot packaged in that bag. Note: Direct seeding is not advised for eggplant, pepper or tomato. Not sure when to plant what? Here’s a helpful chart from Olds Seeds with recommendation for some of the most common seeds. 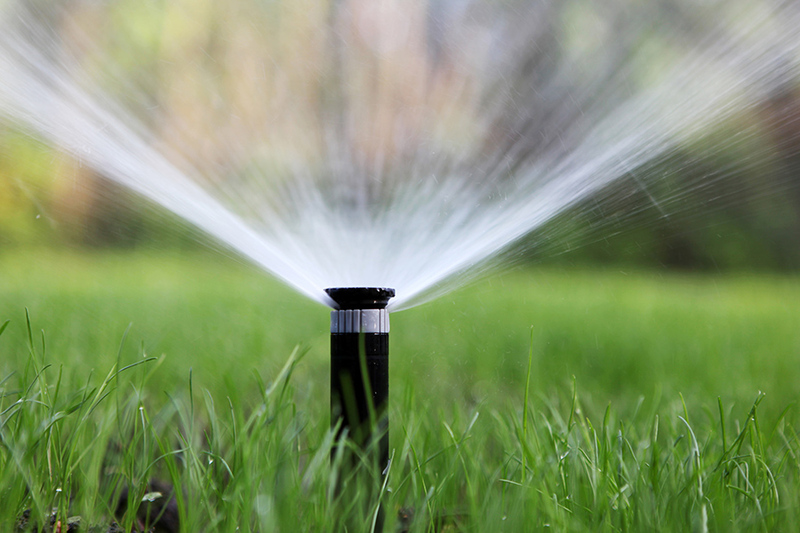 Proper watering is the most important thing you can do for your lawn. Lawns need approximately 1” of water per week in the spring and fall, and 1 ½” to 2” in the hottest part of the summer. This will vary depending on the type of soil and the weather. Watering 1” is the same amount of water we get from a 1” rainfall. It’s good to know how long it takes your sprinklers to put on ½” or 1” of water. You can do this my measuring the water from the sprinklers with small rain gauges placed in various parts of the lawn. Tuna fish cans make a nice, inexpensive gauge. Normally it is best to water thoroughly and less frequently. Watering the lawn well once or twice a week is better than light waterings every day. This will encourage deeper roots and stronger grass. Two to three times per week will probably be necessary in hot weather. Morning (4 a.m. to noon) is the best time to water. This allows the grass blades and crowns to dry off before the cooler temperatures of the evening and night. This helps to avoid diseases that thrive under cool, damp conditions. Morning watering is especially important in spring and fall. The best sprinkler is one that waters the lawn evenly and uniformly. Have questions? Contact us (308) 532-6100. Dull blades beat the grass off rather than cutting it. Frayed tips make the lawn look yellow and dry. They also allow greater entry to some lawn diseases. Cut off no more than 1/3 of the grass blade at a time. Cutting off more than that reduces the overall health of the lawn. Catching the grass looks the neatest but it is not necessary. Leaving the clippings will not cause a thatch build up, but it will leave a temporary mess. Mulch mowing is acceptable but must be done often. Do not leave the clippings of mulch mow if the lawn has a leaf disease. Mow at approximately 2 ½” in spring and fall, and 3” in summer. Most importantly, maintain a consistent height. It is best not to ‘shave’ the edges short with a string trimmer. While this may look nice at first, it does allow more weeds to grow because the competition of the turf has been greatly reduced. Aerating is an important part of having a healthy lawn. Aeration allows water and air to reach the rootzone of the grass more quickly, spurring growth and root development. Lawns that are aerated will be healthier and easier to maintain. They also have fewer pest problems. It’s recommended that a lawn be aerated when your lawn is actively growing so it can recover quickly. Most home lawns benefit from annual aeration, while heavily used lawns or those growing on heavy clay or subsoils may need to be aerated twice a year. Spring through fall is a good time to aerate. Aerating at the wrong time can leave space for aggressive weeds to seed and grow. 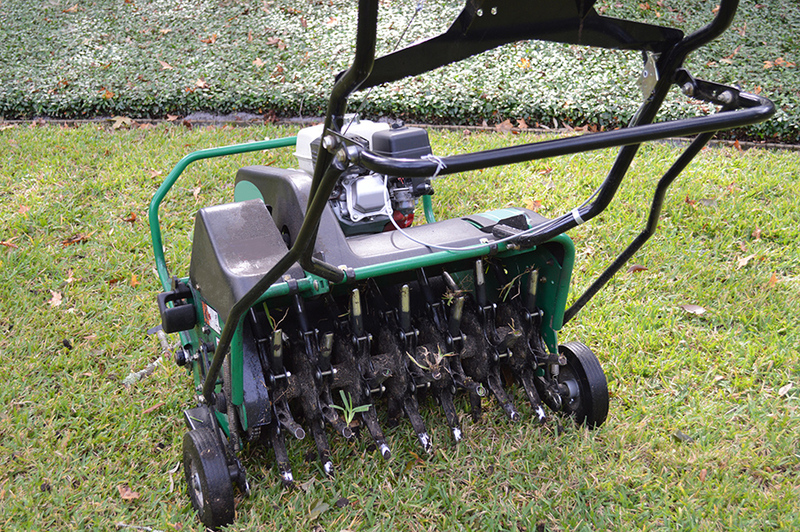 Huebner’s Lawn Service is now offering core aeration for lawns. To learn more, give us a call at (308) 532-6100.